MoaAlm is surrounded by snowy peaks and green meadows, far away from busy city lives. It's a place where you can relax completely and recharge your 'batteries' and emerse yourself in the Austrian Alps. 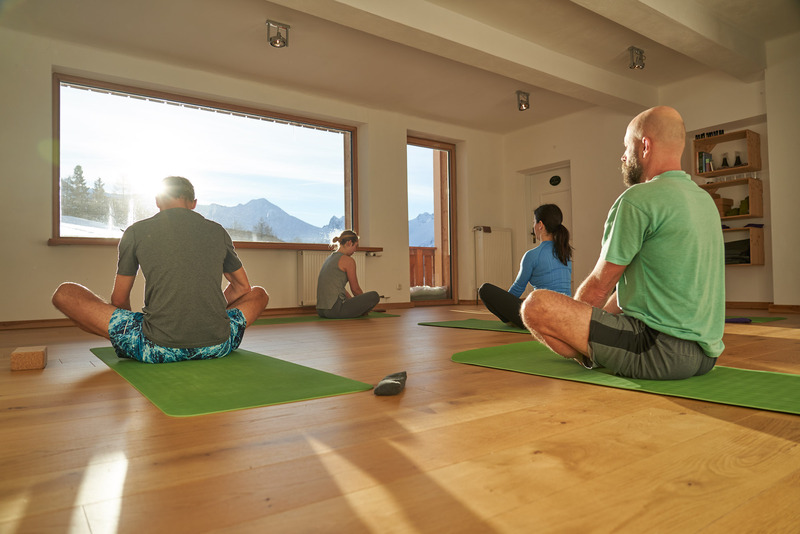 Our yoga & meditation retreat combines daily yoga and meditation sessions with guided walks in the surrounding mountains offering delicious plant based food. 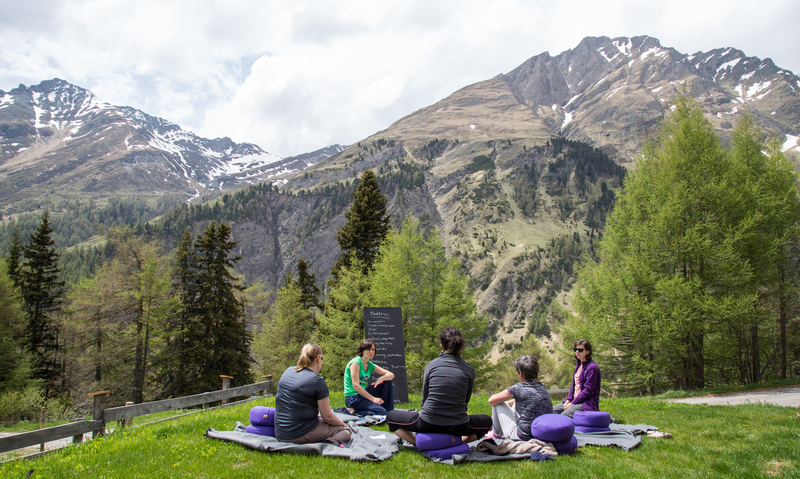 This retreat week is something for you if you need a break from daily life, if you want to intensify your yoga and meditation practice, if you love the mountains or if you would just like to treat yourself to a wonderful week away! During this, our certified yoga teacher will be guiding one meditation session and two yoga classes each day. We will start the morning with a 30 minute guided meditation, followed by a vinyasa style yoga class: a dynamic flow of poses that link the movement with the breath. The afternoon session will be a soothing restorative or yin practice, where the poses will be held for a longer period of time, so the body will have the chance to restore and renew. The yoga classes are accessible to all levels. Experience in yoga is not needed, so even if you don’t have any experience you are more than welcome to join. The maximum of participants is 10, so you will get plenty of personal attention. The beautiful surroundings of the Alps will help you to go home with a clear & calm mind and a happy heart. Find yourself relaxed, renewed and inspired! All yoga and meditation sessions are optional, you can always choose to sleep in or do something by yourself when you feel the need to. During the week our certified mountain hiking guide will offer guided walks in the area. We love to share our knowledge of the mountains and are keen to show you the most beautiful places the Hohe Tauern National Park has to offer. The guided hikes will take up to four hours. If you have a basic fitness level and no serious knee injuries you will be able to participate. All activities are optional - you are welcome to stay in/around the house to relax and we are happy to provide you with maps and suggestions if you like to go out for a self-guided walk. 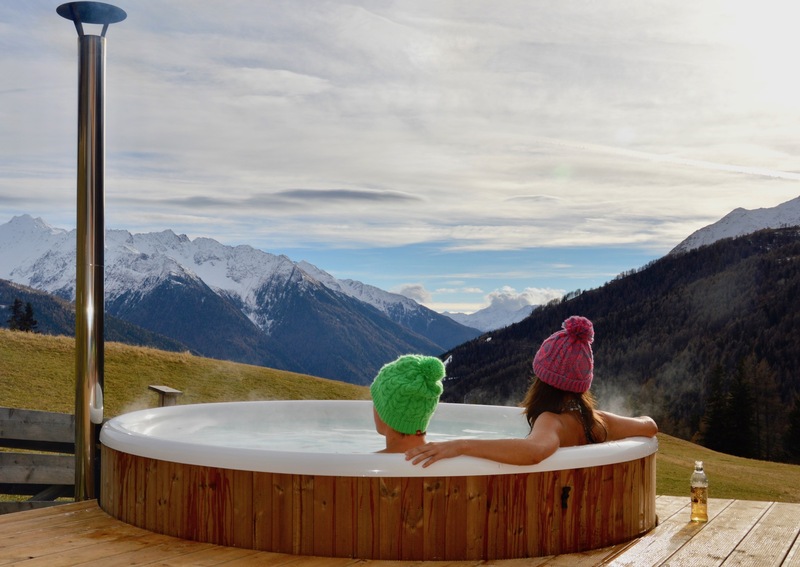 At MoaAlm we have an outdoor wood-fired hot tub with amazing mountain views that invites you the literally relax your muscles and breathe the fresh mountain air. The hot tub will be heated a few times per week and ready for your use! After a few days of yoga and hiking it might also be nice to get a massage; we can recommend the nearby spa hotel that offers excellent treatments such as aromatic massages and facials (not included in the price). If you like a little bit extra adventure we can organise additional activities such as mountain biking, rafting, canyoning, paragliding or rock climbing (not included in the price). Another option is to take a day trip to the picturesque town of Lienz, 30km from MoaAlm, to browse the market and shops or to taste the local wines. DinnerIn the middle of the week there will be a day 'off'. This gives you a change to rest and digest or to be active and undertake the optional activities mentioned above.